This Is The Final CraneSpotters.com Developers Price Survey Results For October 2014. 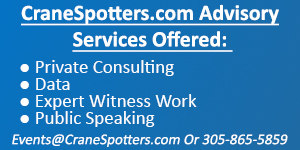 This is the latest CraneSpotters.com list of new condo projects proposed east of Interstate 95 in the tricounty South Florida region of Miami-Dade, Broward and Palm Beach as of Sept. 29, 2014. This is a summary of the current preconstruction condo pricing for new towers proposed in the tricounty South Florida region of Miami-Dade, Broward and Palm Beach. This CraneSpotters.com report was sponsored by the Miami New Construction Show, which is scheduled from Aug. 29-31 at the Miami Beach Convention Center. This is a one-page summary of the 255 new condo towers proposed east of Interstate 95 in Miami-Dade, Broward and Palm Beach counties.